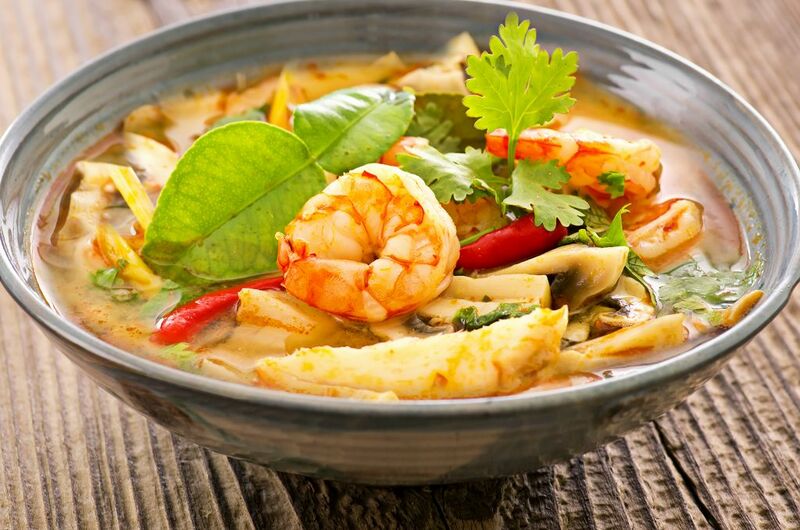 Do you love Thai cuisine? If so, then you may likely be familiar with Kaffir lime leaves. It’s a common ingredient in Thai food, especially those coconut based dishes. What’s a good substitute for it when you can’t find one in your area? I will help you find an appropriate Kaffir lime leaves substitute in this article. What are its culinary uses? 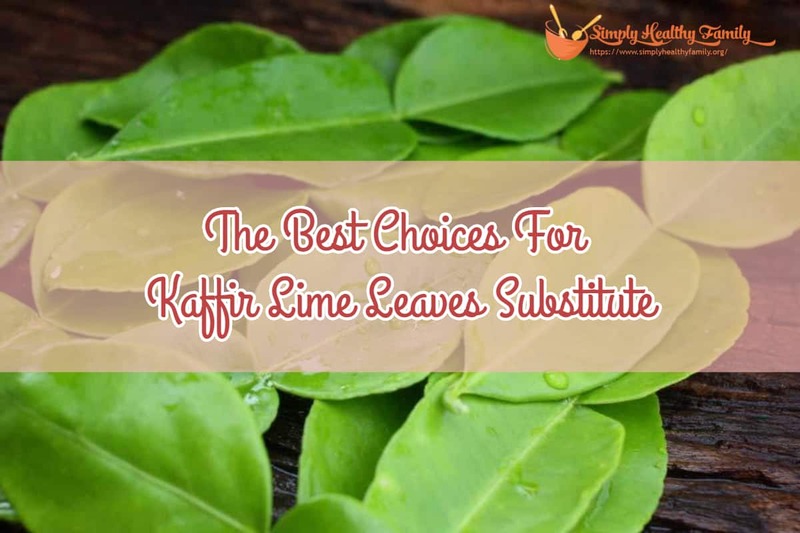 What is the best Kaffir lime leaves substitute? It’s not surprising if you can’t find Kaffir lime leaves in your area. These leaves, after all, come from the mag root lime plant that is commonly grown in Southeast Asia. It is found not just in Thailand but nearby countries as well like India, Bangladesh, Malaysia, the Philippines and Indonesia. The plant from which the leaves originate can grow to as high as 35 feet tall. The leaves are shaped like an hourglass. The leaves are colored dark green. It is thick and shiny on the top. The fruit of the plant is colored green and ripens to yellow. Kaffir lime leaves have a citrusy scent that would remind you of lemon. In the US, these leaves are sold dried or frozen at Asian markets. But we know that Asian markets aren’t as common as Walmart in the US. You can buy fresh Kaffir lime leaves although you can also find frozen ones. Frozen leaves can last up to six months. In fact, it is not uncommon to see Thai cookbooks use the term makrut leaves in reference to Kaffir lime leaves. Other recipes simply refer to them as wild lime leaves. Kaffir lime leaves to minimize the odor when steaming nails. Kaffir lime leaves are widely used in Thai cuisine for dishes like tom yum. It is also used in the base paste “kreung” typically prepared by the Cambodians. 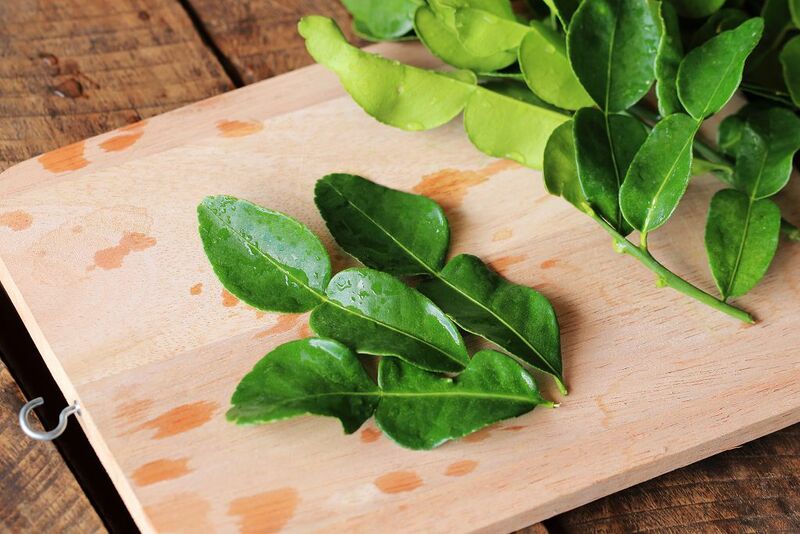 The Vietnamese, meanwhile, use Kaffir lime leaves to minimize the odor when steaming nails. In Indonesia, the leaves are used in Javanese or Balinese foods like Soto Ayam. Kaffir lime leaves have a very complex flavor. It’s hard to replace it with just one ingredient. So I would suggest that you use a combination of herbs to replace the flavoring you would get from Kaffir lime leaves. Here’s a good combination--- bay leaves, lime zest and lemon thyme. Lime zest would bring a citrusy flavor to your recipe while the leaves of the bay laurel tree can deliver strong herbal flavor. On the other hand, lemon thyme also gives its own citrusy flavor but with softer, herbal notes. Combining these three ingredients can help you replicate the effect you would get from Kaffir lime leaves. Combine a small bay leaf with a quarter teaspoon of lemon thyme and lime zest. This combination is very much recommended when you are working on soups and stir fries. You can also use Persian or Tahiti limes instead of Kaffir lime leaves. Unlike their Southeast Asian counterparts, Persian limes are a lot easier to find. It can also provide the flavor notes that you can get from Kaffir lime leaves. You can use the zest of Persian limes to replace Kaffir lime leaves. Use as much Persian lime leaves zest as the recipe calls for. I usually cut Persian limes in half then add them to the dish I am cooking like tom yum soup. I would then remove the limes before I serve the dish. What I like about Persian limes is that these are seedless. Thus you won’t have to look for and remove the seeds before serving your dish. You can also combine lime and lemon zest to replace Kaffir lime leaves. If the recipe calls for one Kaffir lime leaf, mix ½ teaspoon of lemon zest with one teaspoon of lime zest. 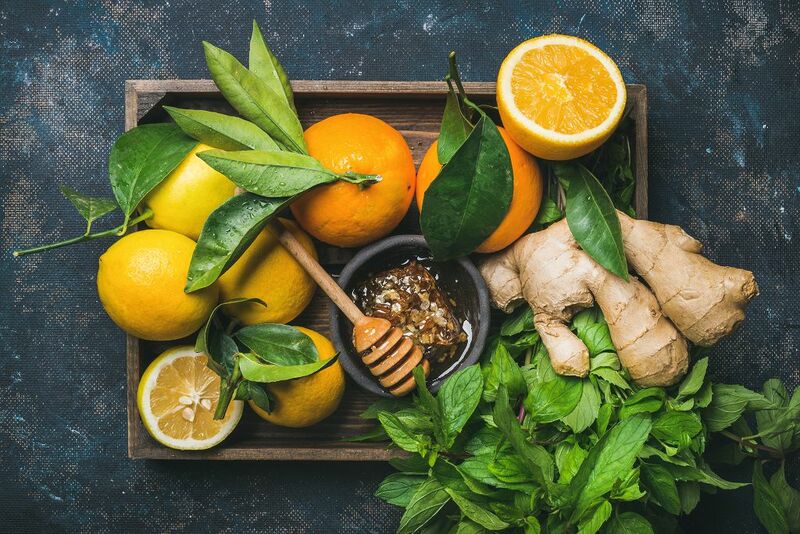 You can also use the leaves of citrusy fruits like oranges and lemons. But you won’t be getting as many fragrances from these leaves compared to what you would get from Kaffir lime leaves. Perhaps you can add more citrusy leaves to your recipe in order to compensate. 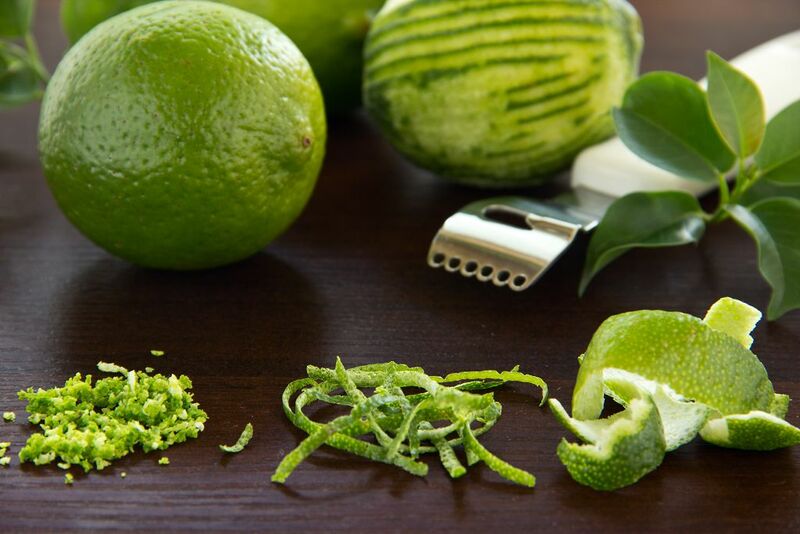 For example, if your recipe calls for 4 thinly sliced Kaffir lime leaves, you can use 6 citrus leaves to compensate. You can add more if you find it necessary. Curry leaves can also give the citrus notes that you would get from Kaffir lime leaves. But you can’t eat them so you would have to remove curry leaves before serving the dish. How do you find this article? Let me know your thoughts by writing in the comments section below.